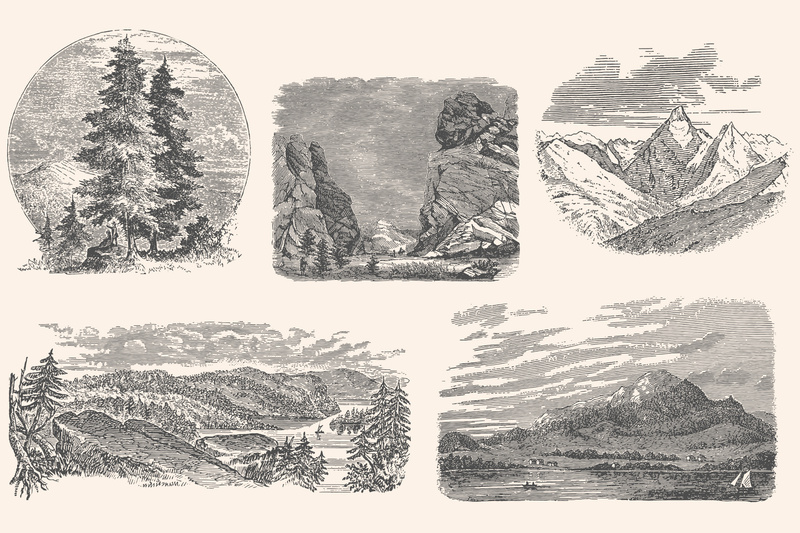 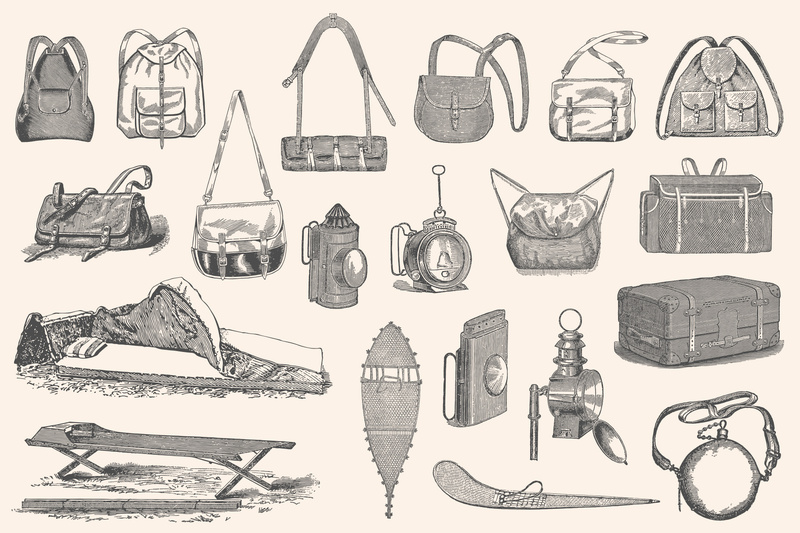 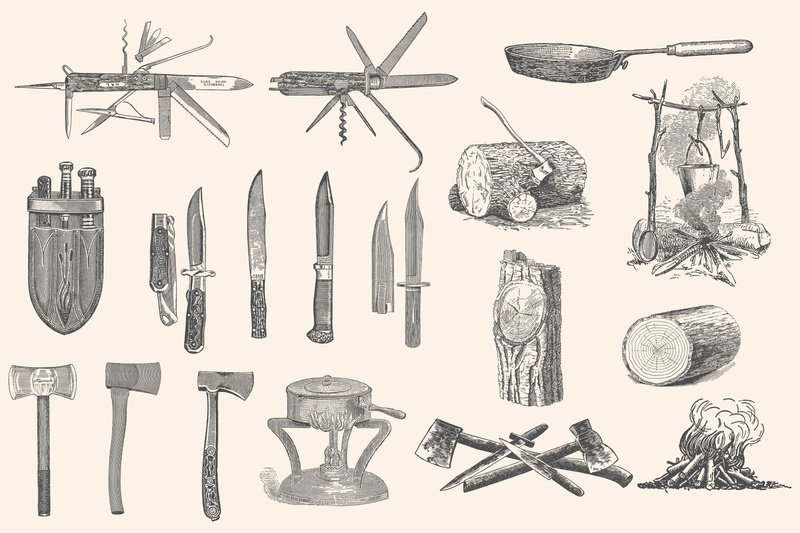 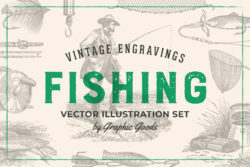 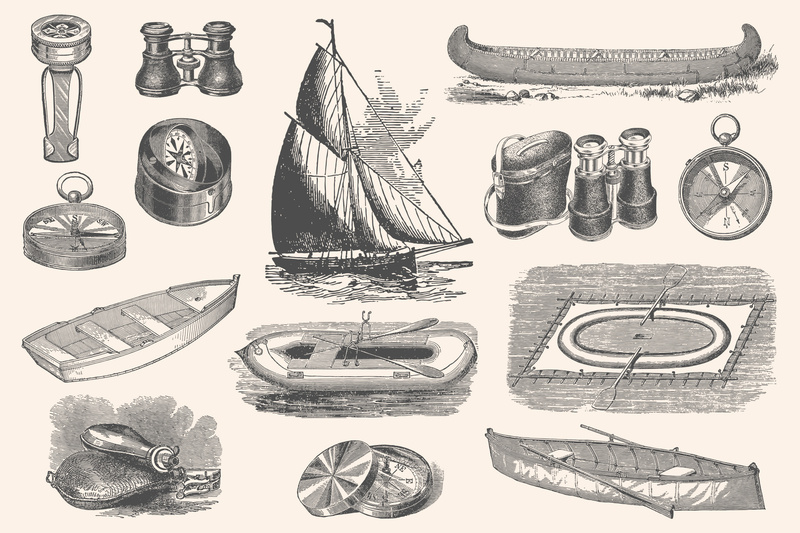 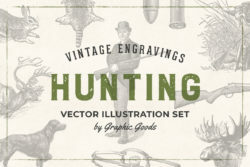 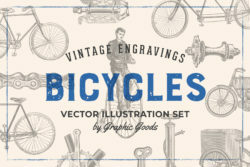 A collection of engraving-style illustrations restored from old 19th-century books and catalogs. 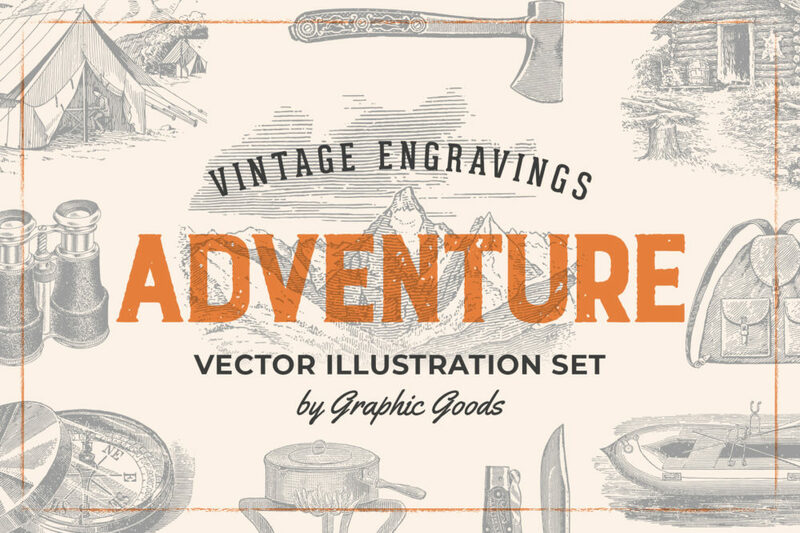 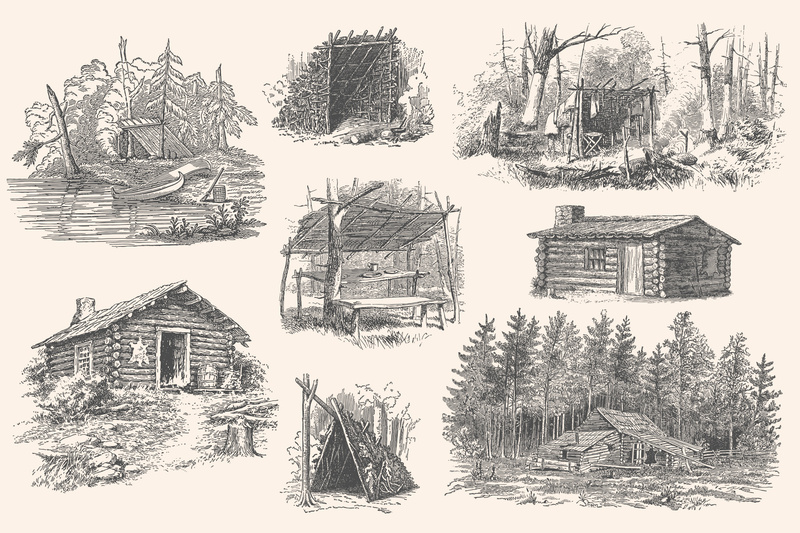 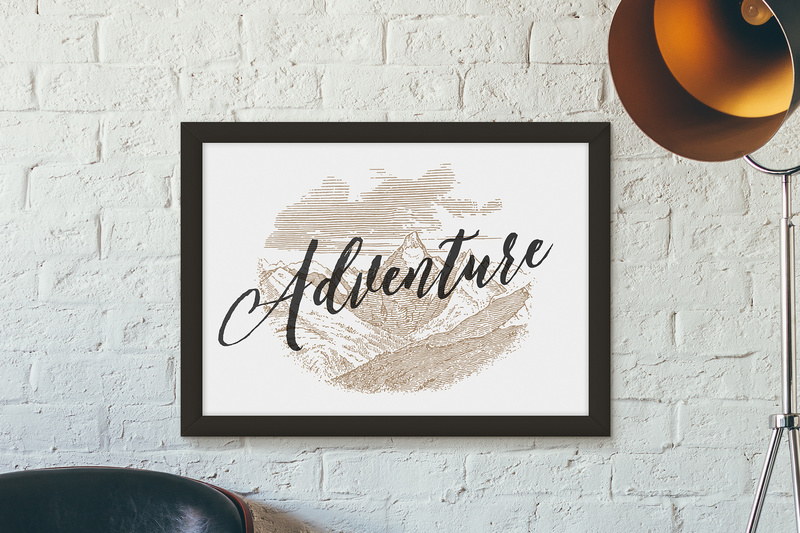 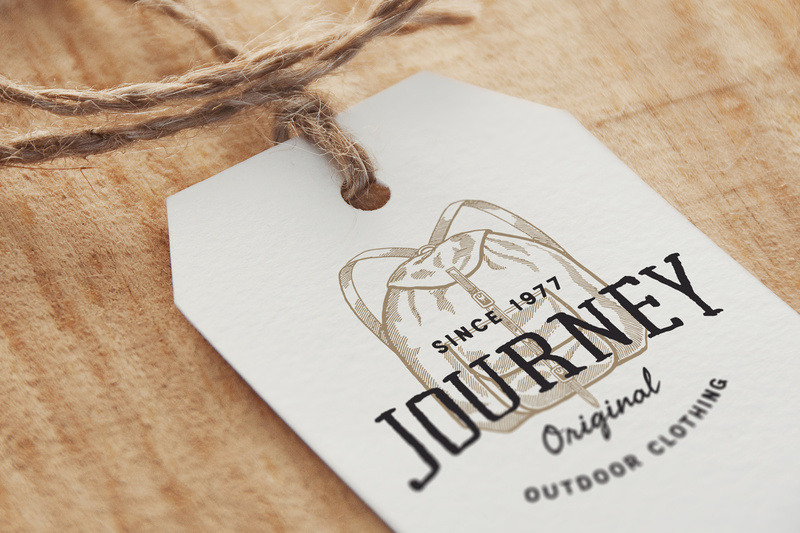 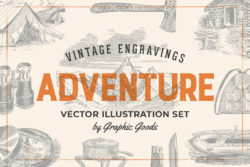 This set contains 74 illustrations related to adventure, outdoor activities, exploration, bushcraft and other similar topics. 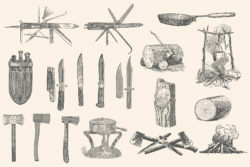 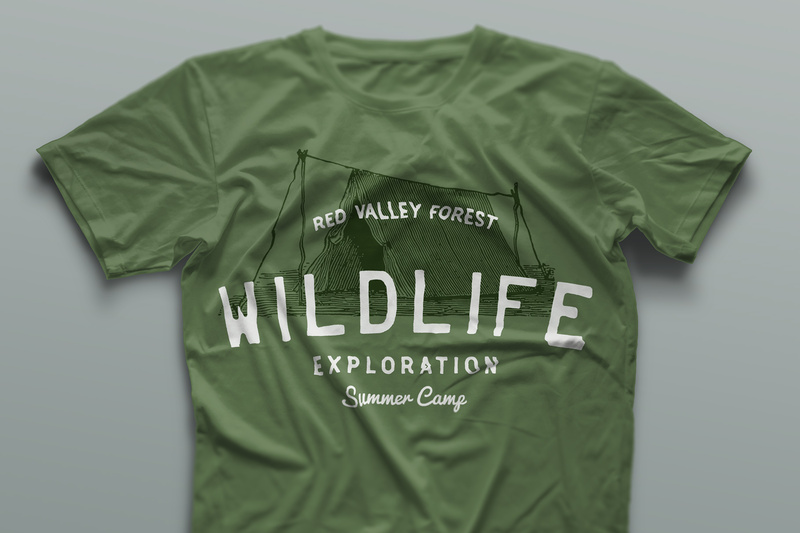 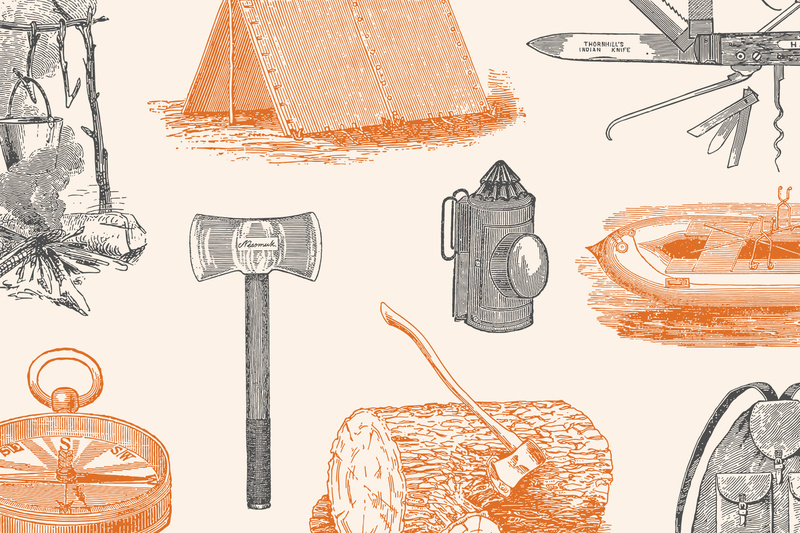 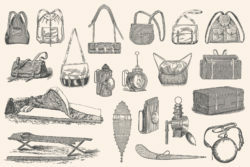 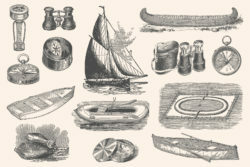 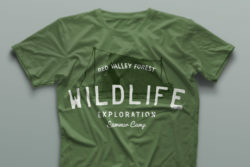 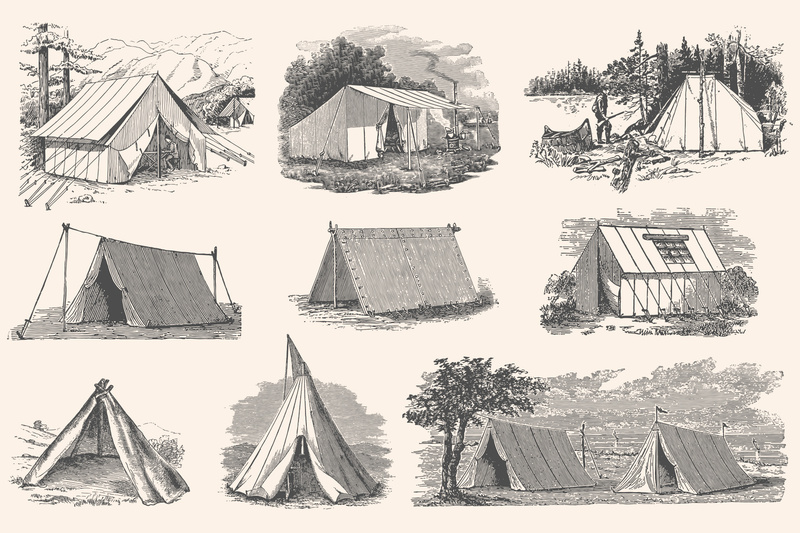 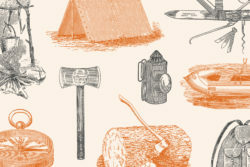 In this collection, you can find illustrations of tents, cabins, camping, campfire, wood stumps, axes, pocket knives, multi-tool knives, binoculars, flasks, lanterns, compasses, camp dinnerware, slipping bag, various bags and backpacks, snowshoes, small boats, rubber boat, canoe, yacht, mountains, other wild nature landscapes and more.